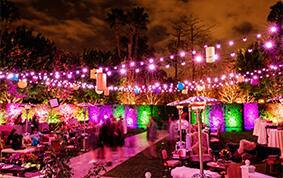 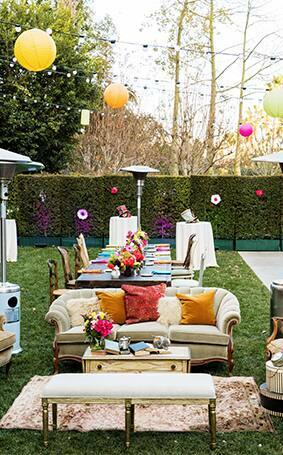 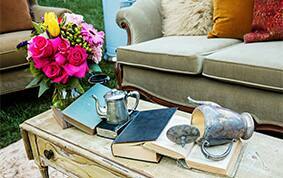 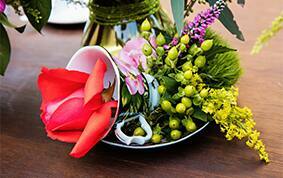 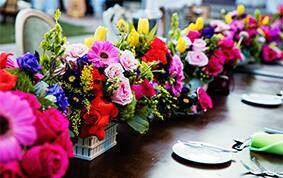 You'll go simply mad over the décor at this fun-filled vow renewal. 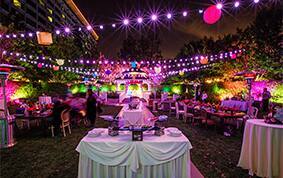 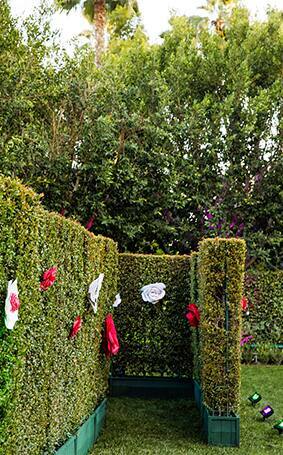 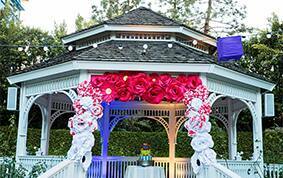 Taking place in the lush gardens of Disneyland's Rose Court Garden, this celebration embodied exquisite details from the whirlwind adventures of Alice in Wonderland. 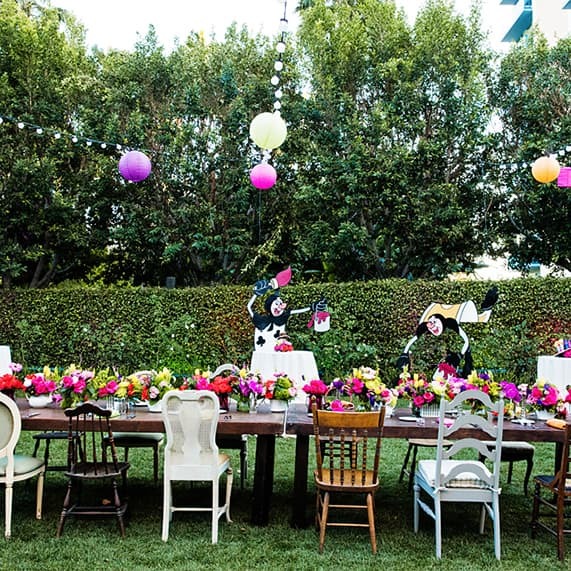 Bold floral centerpieces and mismatched furniture in the cocktail lounge made this eccentric yet classy setup fit for the Queen of Hearts herself. 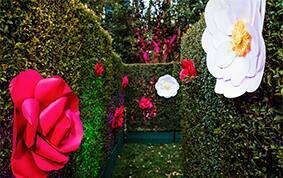 Even the white rose arch seemed to have emerged out of the movie itself with an unfinished paint job by the playing card characters. 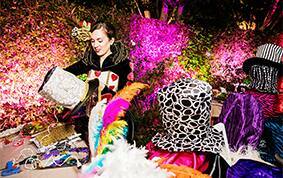 The tea party quickly turned into a colorful nighttime spectacle with purple string lights and glowing lanterns that lit up the night. 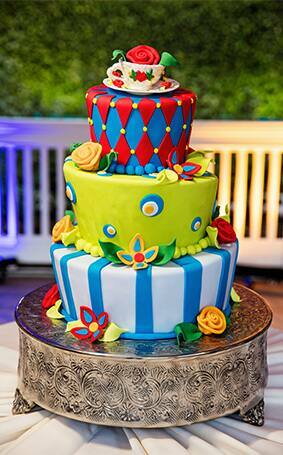 Did someone see the Mad Hatter? 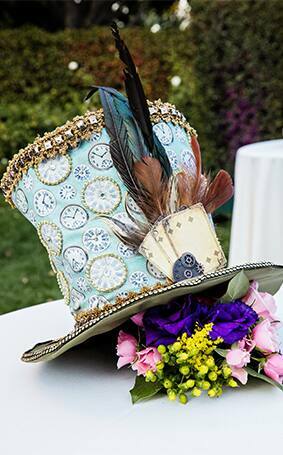 He must have swung by because customized Mad Hatter inspired hats were made for all the guests to enjoy the madness.